For every delivery, our ship has sufficient staff with carefully delegated work. This is very important so that every aspect of the delivery is being taken care of by someone. To make sure that your vehicle is well taken care of all throughout the journey, we hired certified specialists, with comprehensive knowledge in cars, particularly in handling them. We always keep ourselves updated on the international rules for cargo shipping, especially vehicles. Furthermore, all these standards are incorporated in our processes because we don’t want to miss any. This also guarantees that we uplift safety and quality in all our services. Our company invests in the right kinds of technologies and facilities, those that we think can make us more efficient not only in the delivery of goods but also in our customer service. We also modify the facilities based on the needs, preferences, and budget of our clients. 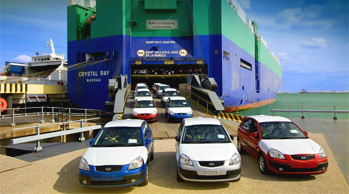 RORO or "Roll On/Roll Off" Shipping is a method by which vehicles are transported overseas. If you are moving and want to ship your car too, this is definitely the easiest way to do it. The car will be driven onto a large ocean shipping vessel and secured in place with braces to prevent movement. 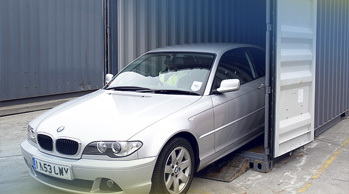 Your car can be shipped overseas in an exclusive container. The car will be driven into the container (usually 20' x 40') and secured in place. You will have sole access and control of the container-even the keys will be handed over to you. You can share container space by consolidating the shipping of your car with other vehicles. 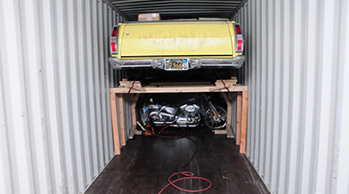 Three to four cars will be loaded via specially designed mechanical cranes in a 40' container, and the remaining space will be used to transport motorcycles.